All the teachings of the Buddha aim to reveal everyone’s inherent goodness nature and dynamic health. According to the Buddha, everyone’s essential nature is naturally peaceful, intelligent, loving and free. However, in different degrees, we do not recognize the truth and treasure of our situation and therefore experience many different kinds of temporary challenges and limitations. 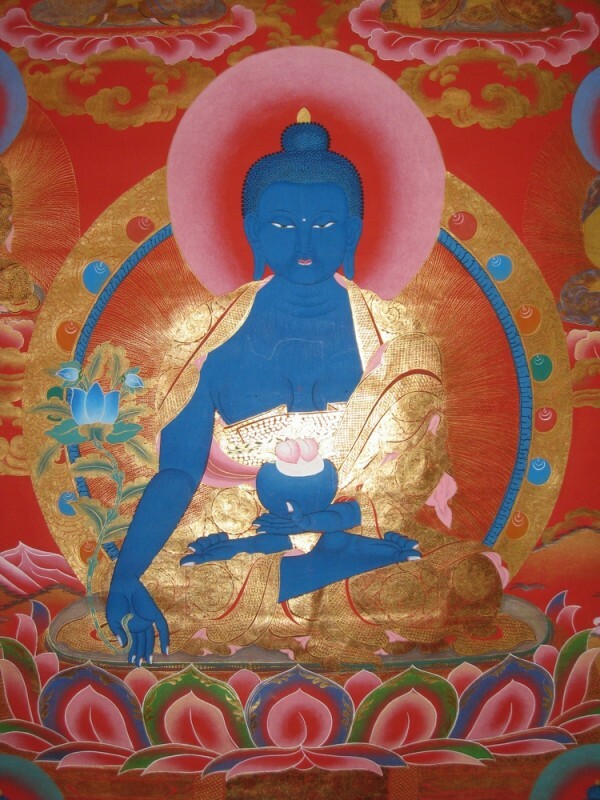 The Medicine Buddha is renowned as a living reflection of wisdom, compassion and healing, who soothes and frees ourselves and others from imbalance by reconnecting us to our true essence. This practice is extremely concise and potent, radiating multitudes of blessings for the benefit of all beings. We hope you can join us for this very special occasion when Ven. Khenpo Tsewang Dongyal Rinpoche will give empowerment, transmission, and pith instructions of the Medicine Buddha according to the great master and co- founder of Tibetan Buddhism, Shantarakshita, as revealed by the great Nyingma and Kagyu master Raga Asye. The Medicine Buddha sadhana will be available in the bookstore. As a holder of the complete Buddhist Nyingma lineage of study and practice from the basic teachings of mindfulness to the most advanced meditation techniques of Dzogchen, Khenpo Tsewang Rinpoche has lived and been a friend of the Palm Beach community for over 30 years. He has an amazing ability to communicate profound topics in simple words, touching people’s hearts and opening their minds to their innate potential of wisdom and compassion. He is the author of many learned works in Tibetan, and has co-authored over 30 Dharma books in English with his brother Khenchen Palden Sherab Rinpoche. Khenpo Tsewang Rinpoche travels extensively within the U.S.A. and throughout the world, giving empowerments, teachings, and guiding students with personal advice.